AT&T PARK — A set of four enigmatic glass doors stand guard behind AT&T Park alongside McCovey Cove. The doors lead you behind the right-field wall — into the out-of-town scoreboard — where a speakeasy-style club resides: The Gotham Club. Once inside “The Clubhouse” portion of the Gotham Club, you are surrounded by copious amounts of Giants literature and leather-bound seats. Windows look out onto the manicured field on one side, which may be limited with a max capacity of more than 200. On the other side, the cool waters of the cove. In between, you’ll find a bar furnished with everything from a baseball-shaped ice cube maker to Giants memorabilia from the early 1900s. To get there, you must travel up to the fourth floor of the stadium. There is an unmarked door with an ambiguous sign next to it that reads, “SUITE 2B ELECTRICAL & IDF ROOMS.” Inside is The Game Room. Sales and Marketing Coordinator Rory Davis said they left the sign up to “deke” other fans wandering around. The Game Room houses billiards, arcade games and a two-lane bowling alley set to the tune of early jazz music. The field cannot be seen from The Game Room. Wine cabinets line the room like wallpaper. Patrons can drink a glass, accompany it with some food and gaze at any number of TVs broadcasting the game. The third aspect of the Gotham Club is “The Bullpen,” which extends beyond the out-of-town scoreboard and onto the red sands of the right-field warning track before games. Members can eat, drink and vie for batting practice balls. The Bullpen is influenced by the Booze Cage at San Francisco Recreation Park on Valencia between 14th and 15th, where the New York Giants once played an exhibition game against the San Francisco Seals in 1907. The amenities are a bit pricier now: Back then, 75 cents would get you game entry, a shot of whiskey or two cans of beer, and a ham and cheese sandwich. Today, Gotham Club membership costs $2,500 to be initiated and $1,250 annually after that. But even if you have the cash to join, you have to meet two critical criteria. You must be a season-ticket holder, or you must have played for the franchise. With the out-of-town scoreboard somewhat obstructing the view and numerous TVs, The Clubhouse provides more of a novelty aspect to being at the game. 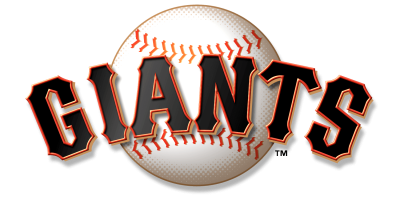 The club’s name comes from the franchise’s original name “Gothams.” After a win in 1885, co-founder Jim Mutrie exclaimed, “My big fellows, my giants.” The Giants has been the team name ever since. The Gotham Club will officially open its doors when the Giants start their series against the Dodgers Friday.